Subscription-based beauty products player, bellabox, has inked a new mobile app partnership aimed at rewarding women for their loyalty to mobile gaming. As part of the collaboration with Lumi Interactive, Android players of the free mobile game, Critter Clash, can participate in a special in-game event collecting lifestyle and beauty items that unlock a limited edition flamingo character. This gives them the opportunity to win in-game items as well as purchase beauty and lifestyle boxes directly within the mobile game itself from bellabox thanks to integrated merchant placements. The latest ‘Wellness week’ event has been launched to coincide with bellabox’s limited edition ‘Welcome to wellness’ box. 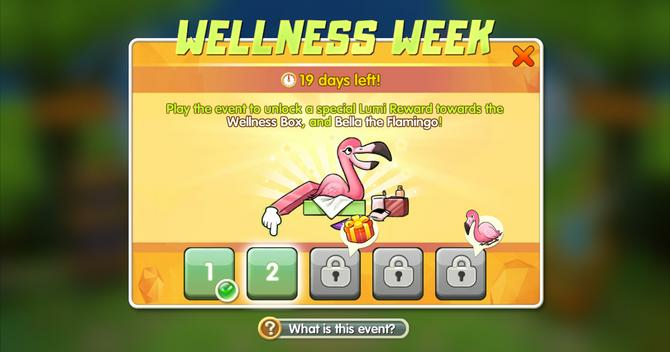 Bellabox said the playable flamingo character reflects the themes of the limited edition box, and is designed to offer a light-hearted, digital approach to beauty and lifestyle products.The event runs until 5 October. It’s also about celebrating women for being the most loyalty players on mobile, who despite this, are often left out of play experiences. With mobile gaming fast becoming the leading form of entertainment media, it made sense to take on this new environment for engagement, the companies added. The Critter Clash game allows players to build and befriend animal teams and play against friends in the treetops. According to Stastica figures, mobile games generated revenue of US$40.6 billion in 2017. Mobile games also boasted of an average 2.8 billion monthly active users globally in 2016, with US gamers playing an average of 3.6 mobile games per month and 1.3 games on a daily basis. Chartboost data also shows 62 per cent of the mobile gaming audience is female, with the ‘typical’ female mobile game aged between 35-44, and working as a professional with at least US$75,000 in annual income. In addition, its research showed 47 per cent of mobile games shop online for over three hours per week, compared to 28 per cent of non-gamers.